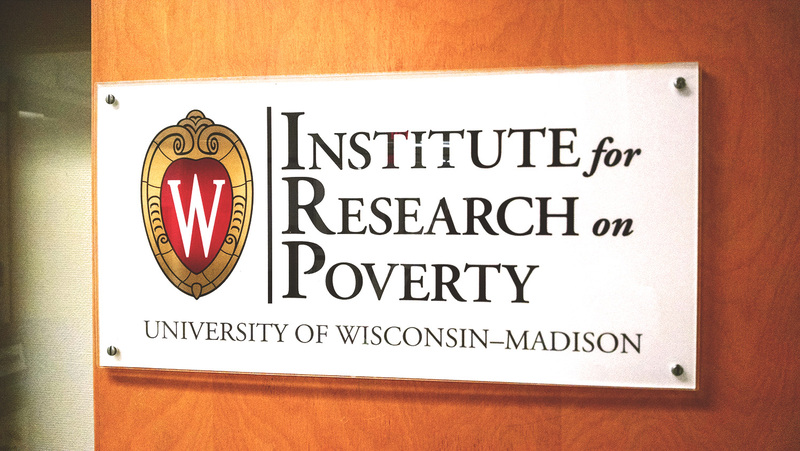 The Institute for Research on Poverty at UW-Madison and the Morgridge Center for Public Service formed a partnership in 2012 to help raise awareness of social issues and encourage community involvement among undergraduate students. The partnership also aims to prepare student volunteers for their service in socioeconomically diverse communities. Student interns create fact sheets that translate complex poverty research into information easy to understand for undergraduate students. Interns also works to share poverty research findings with the campus community. Officially, Wisconsin’s poverty rate is 10.8%, while the child poverty rate is 11.8%. Gain a broad perspective on poverty in the state, including statistics on unemployment and reduced-cost school lunches. Since 1960, the percentage of births that occur outside of marriage has risen from 5% to over 40%. How does the changing complexity of families in America relate to poverty and what challenges do families today face? Healthcare is a critical topic in America today. Research shows that there are direct links between being poor and increased health problems. But learn why access to care is not the only answer to the problem. About 72% of men in America with a high school degree or less are fathers by age 30. But in 2008, only 20% of low-educated men had a regular full-time job. Learn more about the factors that make being a young father in America difficult and how public policy can help. In 2012, nearly 15% of all Americans lacked the resources to buy adequate food. This number is about 11% in Wisconsin. Where in Wisconsin is hunger highest, and how does the Supplemental Nutrition Assistance Program (SNAP) impact hunger in the country? From 1974-75, the bottom 20% of earners in the United States saw income growth of 90%. But from 1975-2010, the bottom 20% saw growth of just 3.7%. Meanwhile the top 1 percent of earners saw growth of 95% between 2009-2012. Learn more about America’s Lower-Middle Class and the future of the American Dream. The United States has the highest incarceration rate in the world, holding over 2.3 million Americans behind bars. Though these high rates are somewhat recent, with incarceration numbers tripling since 1980. But beyond the bars are the families of those incarcerated. What are the material, social and emotional tolls on the children and families of the 2.3 million incarcerated Americans? Living in poverty can put children at risk for health and behavioral problems, but could disadvantage actually affect brain development? Emerging evidence suggests that living in poverty may indeed alter how the brain grows, which may have implications for a child’s life chances through adulthood. What’s causing these developmental blocks and how can they be countered? In 2013, over 1.2 million children in the United States were identified as homeless. In Wisconsin, the figure was 18,000. Research shows that homeless youth face barriers to education and are more likely to experience heath issues. So what has been done to solve this problem up until now and what are research-informed policy options for the future? Americans at the top of the income distribution are getting richer, while wages among the rest of the population are either stagnant or falling. But poverty rates differ a lot by family type– including which and how many parents are actively involved in the family. Education and work are also important factors. Since 1980, the cost of college attendance has risen by 160% at four-year public universities and 170% at four-year private institutions. And as the cost has risen, the share of federal and state support has decreased, leaving students and families to make up the difference. What are some of the specific issues caused by this shift, and what are some potential policy solutions? College completion is one of the surest pathways out of poverty, but not everyone that sets foot on campus graduates. Since 1980, gaps in rates of college entry, persistence, and completion between children from low- and high-income families have widened, although women are outpacing men in college attainment in every demographic group. When many Americans think of poverty, decaying urban areas and neglected rural pockets come to mind. However, in the last 20 years, the geography of American poverty has shifted, with an increasing number of America’s poor people now living in suburbs. Being incarcerated can be expensive. Besides the loss of income from work, inmates may be responsible for “pay-to-stay” fees when they are in jail. Pay-to-stay fees are charges assessed to incarcerated individuals and may include fees for booking, daily room and board, work release, physicals, medication, hospital visits, and dental visits. Working hard is seen as fundamental to securing a stable life and achieving the American Dream. However, many Americans struggle to make ends meet despite their hard work. This fact sheet explores the instability associated with low-wage jobs, which often have unreliable and untraditional hours.